What is it about a roasted chicken that everyone makes so happy? 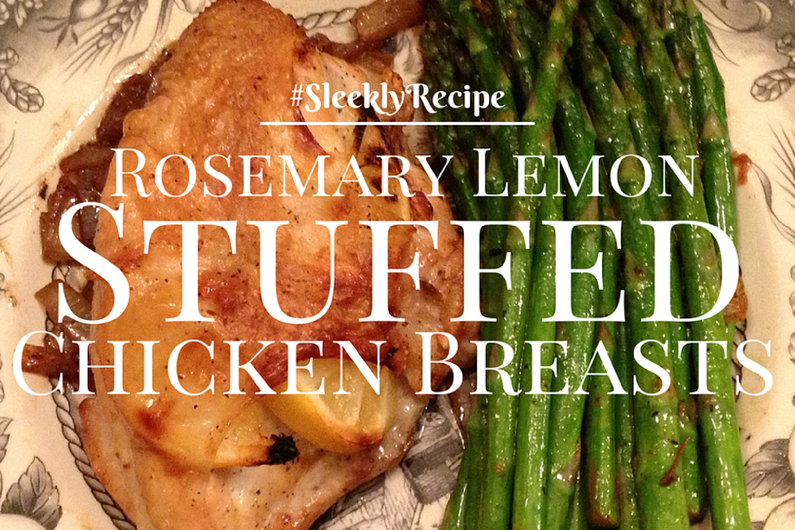 It’s the strong flavors of rosemary and lemon that bring out the delicious flavors of the chicken. Simple, quick, flavorful and easy to prepare, you will have an elegant meal on the table in an hour. Try it tonight! 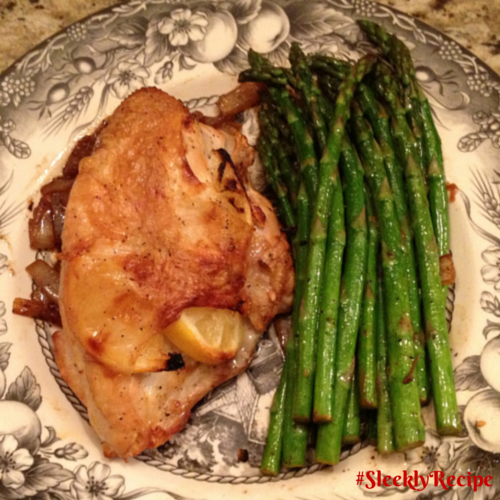 Flavorful meal with the perfect combination of fresh rosemary and lemon. Line metal baking sheet with aluminum foil. 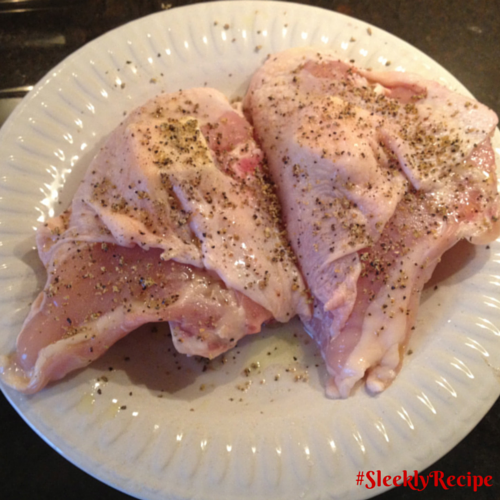 Place chicken breasts on aluminum foil and pat dry. 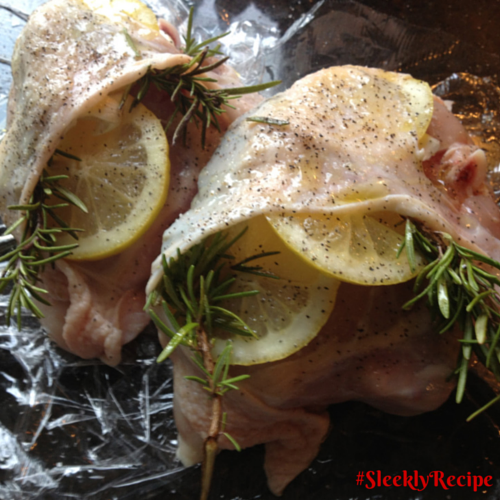 Gently lift skin and stuff area between meat and skin with lemon slices, crushed garlic, rosemary sprigs and butter. Drizzle olive oil over skin and use fingers to evenly spread. Season with salt and pepper to taste. Place pan into pre-heated oven and roast for 45 – 50 minutes, or until juices run clear. (Meat should no longer be pink). Remove from oven and cover with tented aluminum foil for 10 – 15 minutes and serve. Lift skin and stuff area between meat and skin with lemon slices, crushed garlic, rosemary sprigs and butter. Lightly oil the skin with olive oil. Season with salt and pepper. 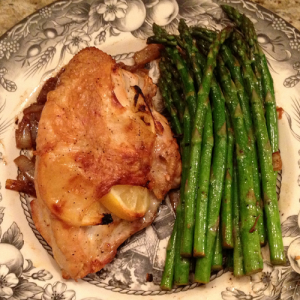 Served with roasted asparagus as a fresh partner for this dish.